Students in the Chicago Debate League study and debate on complex topics of public policy in a rigorous format that demands reading and synthesis of complex texts, research, critical thinking, use of evidence to support every claim, and nimble responses to unexpected arguments. Debaters compete based on the annual national policy topic; recent examples include domestic surveillance, oceans policy, transportation infrastructure, and economic investment in Latin America. No matter the annual policy topic, subtopics are rich and every year our debaters must explore ideas in economics, domestic and international politics, science and technology, and philosophy. Debaters typically attend after-school practices averaging three to five hours per week plus tournaments. Students participate in up to six regular tournaments a year (five for middle schoolers) and have the opportunity to debate at five invitationals. Tournaments feature four to six rounds of debate for all students; in most tournaments, top students go on to elimination rounds. Each debate round lasts 90 minutes (45 minutes in middle school) and concludes with oral critique from a trained judge. Students can apply their learning from each round in their next round just 15 minutes later, making tournaments unusually dynamic places of learning. 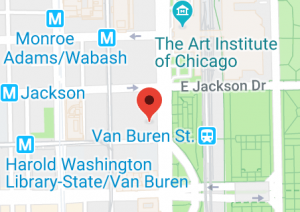 Chicago Debates also offers several opportunities for students to participate in public debates in formats that emphasize oration, while retaining argumentation and refutation from evidence. Each December, we run a two-day public debate tournament for 20 students on key economic issues. In May, we run a two-day public debate tournament on financial literacy issues for 20 students from high-poverty schools. We are excited about creating public spaces for our students to speak to the public and for the community to hear their voices. Chicago Debates runs approximately 35 tournaments each year. Chicago Debates runs a two-week summer camp for middle school and high school students, keeping them engaged in learning during the summer months and preparing them for a successful launch of the school year. During the school year, we offer numerous trainings for students in addition to their regular debate team practices. Chicago Debates recruits and supports about 140 debate coaches each year – most of them classroom teachers. We provide hundreds of hours of professional development via workshops, school visits, a mentor coach program, webinars and more. 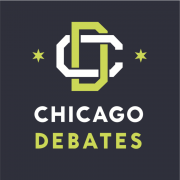 Chicago Debates also creates and disseminates extensive materials and guidance for successful debate programs. Chicago Debates advocates for and helps establish debate programs in Chicago Public Schools, works closely with CPS to manage and promote the program, generates community support for debate through outreach to individuals, corporations, foundations, and public officials, and raises substantial private funding to support debate for Chicago students.